Gift from the Sea. I mentioned that I was reading this book a little while back on Instagram and a friend said her grandmother buys a copy for every woman in the family. Gift from the Sea is a book for women. Of any age. Of any generation. Of any race or demographic. It’s for women. It’s a personal reflection by writer Anne Morrow Lindbergh (you can read more about her background in this great NPR piece) that is really a gift for all of us. It talks about motherhood and life/work balance and the spirit of being a woman. It makes you think about your own existence as a woman. About the women around you. About the woman you hope your daughter (if you have one) will become. It’s one of those books that you need to own in hard copy and that needs to sit on your bookshelf for decades to come. The more weathered and used it gets, the better. The more times you pick it up to read through it, the more you will get out of it. And the more women you can share it with, the longer it will remain the classic that it is. Please read it. I think The Goldfinch is going to be next. I just keep hearing so many good things. 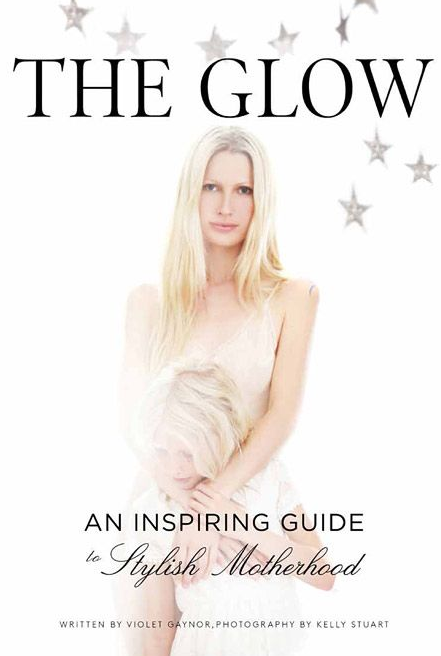 And I have already pre-ordered The Glow, which is coming in April. Because “an inspiring guide to stylish motherhood” is always welcome around here. Have any other must-reads I should check out? Please share in the comments! The Family Dinner by Laurie David is a great book. Full of great ways to get kids cooking and talking. I bought it a few years ago and still consult from time to time. Good to know! I have heard about it, but will take a closer look. Thanks! My mom bought a copy of Gift from the Sea for me soon after I was born. She dated it then and wrote a little note on the inside cover but didn’t give it to me until my college graduation. It’s still one of my most prized possessions and I turn to it frequently. I too have heard great things about the Goldfinch but haven’t had a chance to read it yet. I’ll be interested to hear your thoughts. Love that so much – thanks for sharing, Lara!